Today’s daily travel photo is of an enormous quirky looking giant eyeball I noticed while roaming around in the downtown area of Chicago, Illinois in 2011. I was told by several people I met while in Chicago that this was just a temporary display. What a shame! I thought this eyeball was a wonderfully bizarre addition to the downtown area. When I head back to Chicago sometime next year I’ll confirm whether or not it is still there or not. This is a travel photo from Chicago, Illinois, USA. 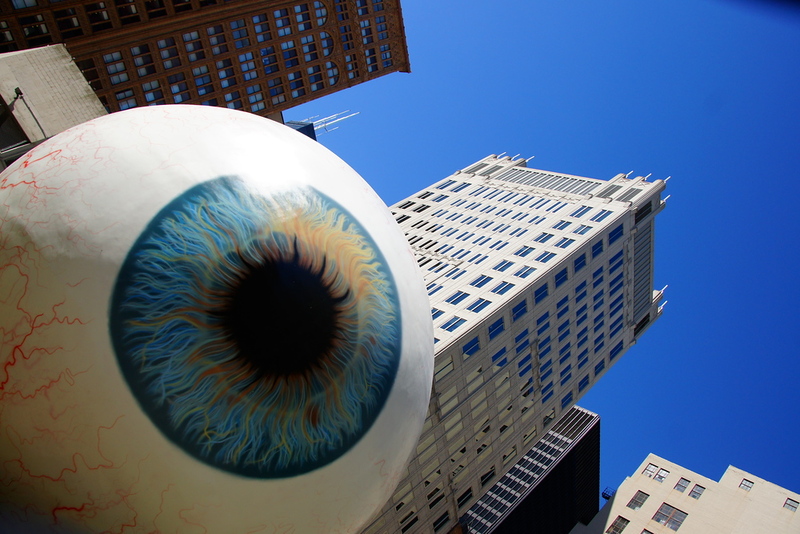 To view more photos from my Windy City image gallery click on the giant eyeball! This should definitely be permanent! Cool sculpture. Wonder where it is now?